Expeditions demand a lot of gear, whether they're to K2 basecamp or the crags of Oliana, so loading up the Rab Kitbag Duffel Bag is as important as buying your plane ticket. Rugged 600D polyester protects everything from crampons to quickdraws, and the Kitbag's double-layer bottom prevents baggage cart blowouts and trouble at the train station. 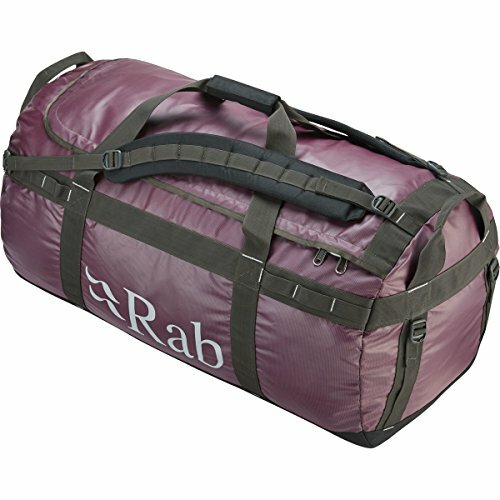 Rab made sure all the seams were triple stitched and the straps were bartacked for serious durability, and it included carrying straps on the top and ends of the bag, so you can lug the Kitbag backwards, forwards, sideways, and upside down.